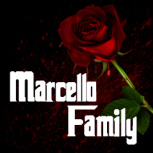 The Marcello Family first started with Sylvestro Marcello who created his own crew after leaving Italy and moving to Los Santos to live the American Dream and make money. At the the idea was to just start as a small family and cause a little trouble in the city to make a bit of money here and there, the Family was known for stealing cars and robbing stores, they tried their hardest to appear like a Family and less of a Gang. Even know the family tried their hardest to stay out of trouble, eventually it would find its way to them. A lot of things were going on in the City that the family didn't approve on, such as Meth being ran by Black Skulls MC, it was the Marcello's idea to remove Black Skulls MC from the picture and take Meth by force to expand their territory as they didn't have any yet. After speaking with a few groups who gave their approval the Marcello family started their move on Black Skulls MC, hints the trouble coming their way but Black Skulls MC was no match for the Family and lay defeated as the family took control of Meth during the war, the family is known for charging 20% fee to anyone who is at Meth without their approval ;however, they also will kill you if you don't ask approval before using Meth, so don't show up without speaking to them first or you risk your very life. 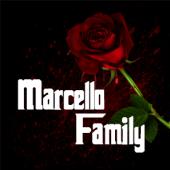 The Marcello family are immigrants from Italy, they are not as numerous as the Blacks, Mexicans, and other minorities, and nowhere near the sheer numbers as other gangs in the city, but for a small group they are striving in the city making a living in Drug Running, Loan Sharking, and even Bounties on Citizens who do them wrong. Other Italians began to hear about the Family and would attempt to make a mark on the city by joining. At the start the family would focus on small petty crimes, but became well known for expanding to bigger and better thing's throughout the time. _________________________________________ Currently the family is partaking in drug production and trafficking as it is very profitable and always provides thrills that some seek. We are attempting to purchase the Golf Course to hold Weekly event's that will pay well for the winners of the event. The family also partakes in all kinds of different activities such as street racing, weekly fight night that the crows host and street racing that redline host's, its our goal to host our own events in the near future for Golf, but we are waiting for approval from the God's on this idea. _________________________________________ Our plans for the future is to hold our own drug that we important into the city, and host weekly Golfing Event's once the Government approves of the suggestion. We also want to find a supplier for illegal weapons as we currently don't have a supplier. We also have plans to host certain evens in the city that the people will enjoy but these idea's will not be released unless approved by the God's. _________________________________________ There is no real way to join us unless we notice you and decide to send you an invitation. If we become interested in you, we will find you and make contact with you personally. We do not recommend asking around town about our Family because it will often put you under ground as we are very secretive about our organization. However, if you do need to find us, we often can be found at Meth or the Golf Course as we hang out there a lot. If we become interested in you, we will assign a job for you to do, if you manage to do the job successfully without any issues then you will be given the Associates rank, and tested throughout the next four week's after joining. During this test period you may be removed at any time for breaking the rule's or not given the Family their product! _________________________________________ Marcello Rank's A brief Overview of the Marcello Rank's. Boss, Consigliere, Underboss, (1 per 5 soldiers) Capo's, and (5) Soldier's per Capo that will look over the Family! Boss Under-Boss Consigliere Capo's Soldier's Associates _________________________________________ Handbook: . https://docs.google.com/document/d/1lNEZK2I_v2Vc1Sgz5OOOPTqUF31qcBOGphvEG54eZjg/edit?usp=sharing Roster: https://docs.google.com/spreadsheets/d/1ZrEsH_ic8Nov3NjCfeMJCrUXWv2pHkp8e4bZDuM78rg/edit?usp=sharing _________________________________________ Our rule's are clearly posted in the Hand-Book and the link was provided above!! Read the hand-book because if you break any of the rule's you will be removed without warning during your thirty-day trial period. Our family is strict role-play and MUST remain civil at all times, so make sure you check back once every few day's on handbook as we may have updated it!!!! "Omerta" - is our oath or "code of silent", we never talk to the authorities or members outside the Organization! "Ethnicity" - only men of Italian descent through their father's lineage are allowed to become full members (made men) Associates, partners, Allies, etc will have no ethnic limits. (You Only Need to RP being Italian You Do Not Need To Be Italian In RL). "Family Secrets" - members are not allowed to talk about the family business to non-members, it is terms for Death. (Upon joining the Family you agree to role-play Permit Death if you Violate this rule, and it's discovered you broke it!) "Blood for Blood" - if a member is killed by another gang or citizen, no one can commit revenge or murder unless it's authorized by the Boss!!! "Fighting" - If you have a dispute among a fellow member, you will not fight each-other we are Family act like one!!! "Tribute" - We required Tribute for all income made on illegal job's, it must be paid to the boss or Under-Boss when they request it! The tribute will be used to purchase weapons, shops, warehouse, vehicles, etc for the family. The tribute is 25% of the total income made during the illegal job! Anyone found shorting the Family will be dealt with by death!!! "Facial Hair" - All members must remain neatly trimmed, no messy looking hair or bears, we are business people act like one! "In-activity" Members who do no actively participate in our Family activities will receive two warnings, furthermore, in-activity will result in being kicked from family. If you have the last name Marcello you will be killed. "Meetings" - Members must attend one meeting a month, anyone who does not make a meeting will get one-point after four point's meaning you missed four meetings in a row you will be removed from the family. Gang War's are not to be declared unless it is from a Consigliere or higher! Our associates and higher shall not start beef with other families or gangs, and if asked to leave an area respect that request and bring it to the under-boss to investigate later. You may not rob honest workers, this includes and job that is legal, Anyone who robs a citizen conducting a legal job will be removed from the family without warning!!!! All members MUST conduct the job assigned to them without argument, anyone who does not do their job will be removed from family. We do keep track of what you give on the job, so don't think you can be lazy and not conduct the job!!!!! _________________________________________ Our Scenarios. One of our members is not follow our rules or orders from a higher ranking command, you are ordered to handle the member, and inform the boss the job is done. Someone is at Meth, our drug location that we run. A member has been shorting the Family and not providing the right Tribute, they are trying to claim it's a lie. What Do You Do In The Scenario: 1. First off, you would take the member someplace private, tell them what you have been told and show any evidence you may have. You will not engage the member unless given approval by the Capo or higher. Once you take them someplace private you will decide if you remove them from the family or end their life. 2. As a soldier it is your reasonability to protect the family at all costs, you will confront the citizen and tell him the location is run by our family, after you speak with him you get his name and number. You rob him of all his items, once you do that you tell him he is not allowed here unless approved by our family. You state you'll be in-touch once approved and inform him that we charge a 20% tax on the meth faction and processing. Once you inform him and get his ID send his information by text to the Boss for review he will be added to Accept list or Denied. 3. Investigate the Claim and use your best judgement to see if it's true or not. If you believe the claim is true, you will kill them and strip them of their badge no warnings for shorting the family!!! If you think they are telling the truth give them a verbal warning about shorting family and remind them that they can be killed if caught. Hello Admins, I posted on the wrong thread to be deleted, I meant for my BSMC thread to be removed and posted on Marcello. Can you please restore the Marcello application and remove BSMC one. https://docs.google.com/document/d/19Ev55me20IzPpADiDKEnH5vmr6FsoMmKT0dPc3KJwW4/edit Currently I am still working on it, but I think this should be added instead of the one on discord. American Dream Staff Roster Development Team Administration Team Support Team Legend: * = Leave of Absence This is a thread I would like to design and keep updating as we get new staff so people know who is what role. Would it be ok for me to do this? Tourelle4u had the most liked content!